The captain of Togo national team, Emmanuel Adebayor has joined the last season Turkish Super League runners-up, MedipolBasaksehir of Istanbul, who suddenly outburst as the league contenders last season and ultimately ended as the first runners-up, just four points behind the champions, Besiktas. It was announced by the club through their official Instagram page that the former Arsenal, Manchester City, Real Madrid, Tottenham Hotspurs and Crystal Palace striker was joining, by posting a picture of the Togolese undergoing a medical. The chairman of the club, Mustafa Seral announced to the news agencies that the 33-year old forward was signing on a one and a half year deal which will see his contract till 30th of June, 2018 and will see him making a “major contribution” to his side while financial details remain undisclosed. 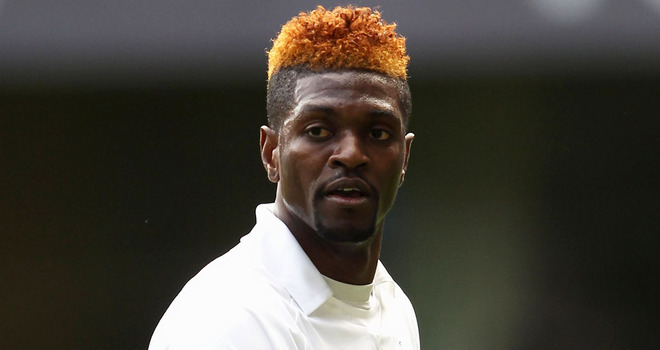 Adebayorhad been a free agent since departing Crystal Palace at the end of last year. He however skippered Togo at the Africa Cup of Nations in Gabon where the country exited at the group stage after losing to DR Congo in 3-1 defeat. The striker, who used most of the past decade in England, had previously revealed that he could push for a move back to the Premier League when he is done with his contract at the club formerly known as Istanbul BuyuksehirBelediyesiSpor (IBB). The club changed their name in 2014 to Basaksehir and have experienced a major surge in fortunes ever since then. They showcased a worthy rival to the well-known traditional dominant Istanbul trio of Galatasaray, Besiktas and Fenerbahce and their flag flew high in the Turkish Super League for much of last season. After the last round of games, they comfortably ended in the second place, four points behind the leaders Besiktas, and nine points ahead of Fenerbahce and Galatasaray. Adebayor helped the team with six goals in eleven matches played, out of which he started ten. « CAN LACAZETTE IMPRESS AT THE EMIRATES?